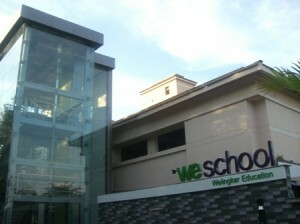 WeSchool is conducting a 3-day workshop on Warranty and Service Revenue Management for InfosysBPO executives at its Bangalore campus from August 24 to 26, 2011and for InfosysBPO Pune executives at Infosys Pune campus from September 14 to 16, 2011. Globalization is not only rapidly transforming the business landscape, but also compelling global companies to seek reliable partners for sustainable growth. Infosys is showing how an ecosystem of innovation and sound corporate governance can deliver predictable results despite the odds. Infosys was ranked India’s ‘Most Admired Company’ in The Wall Street Journal Asia 200, a listing of Asia’s leading companies in 2010. Forbes ranks Infosys among the world’s most innovative companies. Infosys BPO Ltd. has been positioned by Gartner, Inc. in the ‘Leaders Quadrant’ of the Magic Quadrant for Comprehensive Finance and Accounting BPO, Global report. The Three day Management Development program will start with an inaugural session on August 24, 2011 at 9.00am at the MDP Room and will be followed by sessions by Prof. Shekar Prabhakar, Prof. Murli Mohan, Prof Sachidanand and Prof.AKN Prasad of WeSchool, Banglore .The august team of Educationists will be delivering this workshop with content prepared exclusively for the programme. The workshop covers specific aspects of Warranty management, Spare parts management, Service revenue management, Logistics and Supply Chain management. This workshop aims at providing the participants an overview and domain knowledge on all post sales related activities to help them manage their client’s projects. WeSchool, Bangalore has partnered with Infosys BPO to offer a rigorous, accelerated and innovative educational program titled JMLP - Junior Management Leadership Program. This program strikes a balance between theory and real world applications. The curriculum gives the employees an integrated perspective of the functional areas of business and the economic, legal and social environments that affect the business enterprise. Spread over a period of eighteen months with all courses delivered within the Infosys campus, this Executive Diploma in Management is unique and first of its kind in the country exclusively designed by WeSchool for Infosys BPO Junior level management team. WeSchool, Banglore also conducts the All India “Welingkar-Infosys Innovation Awards” to celebrate spirit of innovation by sharing in-depth stories of Innovation where the most innovative minds collaborate to solve real-life Issues.